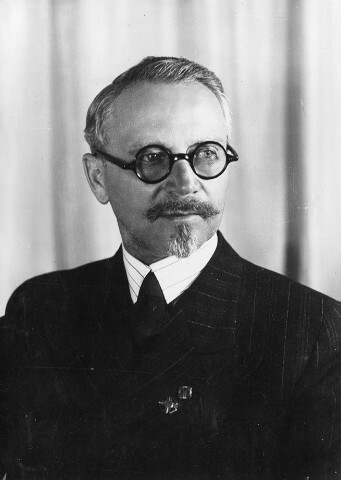 Sadovsky, Mykhailo [Садовський, Михайло; Sadovs'kyj, Myxajlo], b 29 July 1887 in Kyiv, d 29 December 1967 in Toronto, Canada. Senior officer of the Army of the Ukrainian National Republic. Commissioned in the Russian army in 1912, he joined the Army of the Ukrainian National Republic and was assigned with the military rank of colonel to the General Staff and then to Supreme Headquarters. Under the Directory of the Ukrainian National Republic he was chief of the field office of the defense ministry (1918–20). In the interwar period he served at the rank of brigadier general in the defense ministry of the Government-in-exile of the Ukrainian National Republic in Poland, and was active in community and veteran organizations. He was vice-president of the Ukrainian Military History Society and chief editor of its Za derzhavnist’ collections and the journal Ukraïns’kyi invalid. After emigrating to Canada in 1950, he remained active in the Government-in-exile, UNR Army veterans’ organizations, and the Ukrainian Orthodox Church of Canada. He organized and headed the Ukrainian Military History Institute and edited the two final volumes of Za derzhavnist’. He wrote many articles on the 1917–21 period in Ukrainian military history.